Furo is a cute and useful bowl for the desk or coffee table that is transformed into an imaginative drawing tool with coloured pencils for legs. A designer object to inspire a new generation of budding designers and artists. 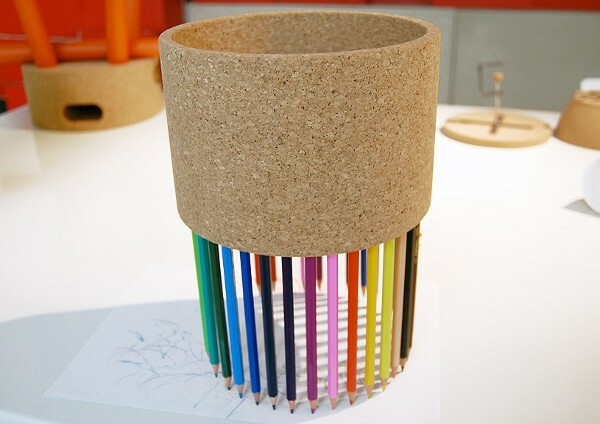 As a simple cork bowl with coloured pencil legs, Furo would look gorgeous in any child’s room. A wonderful place to store their treasures like buttons and beads and all the odds bits kids seem to gather. But Furo is not content to be just a bowl, it is much more creative than that. Turn the pencils with their points facing down and now you have a drawing tool that will create beautifully symmetrical designs. 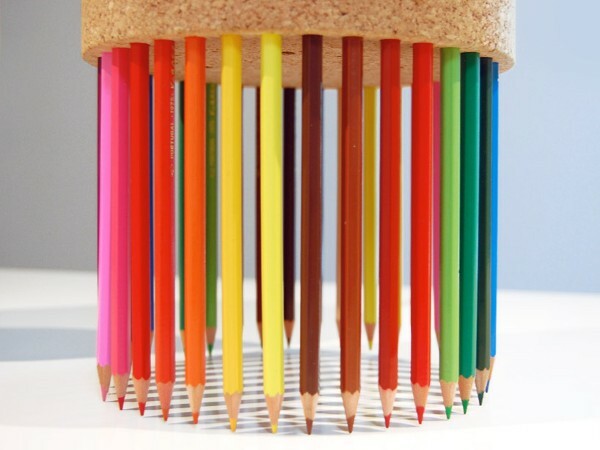 You can have any number between four and 36 pencils inserted at a time. There is loads of fun to be had experimenting with colours and combinations, creating an endless array of gorgeous patterns. Furo is the kind of cool tool that you pull out when a school assignment needs decorating or when putting together handmade cards. Something special for that extra artistic touch. The fabulous Furo is not yet available for purchase, but we are keeping our ears to the ground and will let you know as soon as they become available. No doubt we will be snatching some up for the Babyology office too!